The beef content in meat-based ready meals such as lasagne, ravioli, cannelloni, moussaka and pasta with meat sauce can vary by as much as 50%, according to a new study published this week, by consumer association l’Association Consommation Logement Cadre de Vie (CLCV). The study looked at 150 “beef-based ready meals”, and considered their meat content as well as the amount of added sugar, and other extra additives. Ravioli dishes were found to contain the least amount of meat, with an average of just 11.1% per meal. Cottage pies (minced beef topped with mashed potato; known in French as “hachis parmentier”) contained the most meat, at 19.7% on average. Ravioli dishes also suffered the most significant variations between meals. More than 60% of the ravioli dishes studied contained less than 8% meat, but a third contained more than 15% - almost double. Depending on the brand, some dishes were found to contain up to four times’ as much meat in them compared to those containing the least. 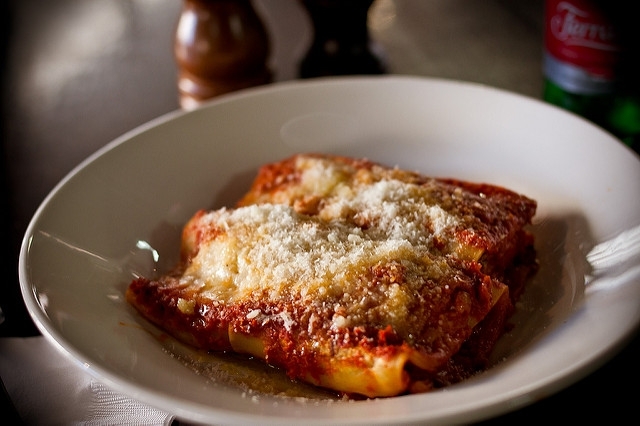 Some lasagnes, raviolis, and pastas with meat sauce contained just 4-5% beef, the study found. It also reminded consumers that if a product contains less than 8% meat, producers do not legally have to state the meat’s origin on the label. The study also found that spending more money on ready meals, or choosing organic (“bio”), did not necessarily increase meat content. The organic ravioli meals studied were found to contain an average of just 4-7% beef content - almost half the overall average - despite being twice as expensive as non-organic options. Over 70% of the ready meals studied were shown to contain added sugar, and 75% contained added flavouring and additives. Almost 90% of the meals studied contained thickening agents and emulsifiers. The CLCV has now called for more transparency on ready meal labels, and has proposed the idea of a “nutriscore” that would clearly show the nutritional values of the products.